Biofield therapies in cardiovascular disease management: a brief review. Though there have been advances over the last 30 years in the therapeutic approaches to cardiovascular disease (CVD), heart disease and stroke remain the leading cause of mortality and morbidity worldwide. Many medical therapies for CVD are associated with a number of side effects, often leading patients to seek non-pharmacological treatments to complement standard care. Referred to as complementary and alternative medicine (CAM), these therapies consist of a heterogeneous group of modalities used in addition to conventional health care. Biofield therapies exist within this CAM domain and involve the direction of healing energy to facilitate general health and well-being by modifying the energy field. What follows is a brief overview of three biofield therapies developed or used within the field of nursing (Therapeutic Touch, Reiki, and Healing Touch), surveying the use of these interventions for individuals with CVD, and outcomes that may impact CVD risk factors and health-related quality of life. Holist Nurs Pract. 2011 Jul-Aug;25(4):199-204. Anderson JG, Taylor AG. Center for the Study of Complementary and Alternative Therapies, School of Nursing, University of Virginia, Charlottesville, VA 22908, USA. BACKGROUND: This article explores the evidence base of efficacy and effectiveness of 'energy healing' for cancer patients. The term 'energy healing' refers to a wide variety of therapies which are based on the premise that the healer transfers energy to the patient. Among the most researched forms of energy healing are reiki, therapeutic touch and healing touch. MATERIAL AND METHODS: PubMed, AMED, JStor, Social Science Citation Index and PsycInfo databases were searched, and articles were rated according to the SIGN (Scottish Intercollegiate Guidelines Network) quality scale. Six quantitative and two qualitative studies on the efficacy and effectiveness of energy healing for cancer patients met the inclusion criteria. RESULTS: None of the studies are of a size or quality that allows to draw reliable conclusions. The results of the studies are, however, interesting and should be considered when developing new studies and hypotheses on working mechanisms. CONCLUSION: The existing research does not allow conclusions regarding the efficacy or effectiveness of energy healing. Future studies should adhere to existing standards of research on the efficacy and effectiveness of a treatment, and given the complex character of potential outcomes, cross-disciplinary methodologies may be relevant. To extend the scope of clinical trials, psychosocial processes should be taken into account and explored, rather than dismissed as placebo. I define kudalini energy as that life force energy associated with the chakra centers. It is that life force energy that begins the moment we take our first breath and according to Eastern philosophy, lies coiled at the root chakra (base of the spine) until uncoiled. It is the energy from Creator Source moving through your chakra centers downward to the creative source in Mother Earth and back up again to the Creator Source. It is my opinion that we, as humans, work with the kudalini energy every day but for many of us, we are not aware of it. Let's take a look at how kudalini energy works. The client had refused to fill out the Intake form and was equally adamant about offering her name. My wife Berit (she manages our business) created a file under the name Mrs. X, which I changed to Yana to share her story with you. We join her during her third appointment, which demonstrates the value of learning and applying two NLP techniques (pace and lead, and calibration) which are very useful additions to the application of EFT. Alternative medicine remains alternative because it poses serious challenges to the mainstream biomedical paradigm of mechanical reductionism and because it requires a new framework. This paper explores some of the hypotheses and challenges of energy medicine including healer interventions, electromagnetic therapies, and homeopathy. Together with new findings from the bioelectromagnetic field, they spell out the rudiments of a new paradigm for biology and medicine based on information. Information embraces the complex network of relations in the matter and energy transactions of living systems. It offers a unified view of energy medicine modalities as well as a fresh perspective for biology and medicine and new questions for further research. Altern Ther Health Med. 1995 Mar;1(1):34-9. Rubik B. Center for Frontier Sciences, Temple University, Philadelphia, Pa., USA. Energy medicine techniques derive from traditional Chinese medicine and are based upon the concept that health and healing are dependent upon a balance of vital energy, a still mind, and controlled emotions. Physical dysfunctions result from disordered patterns of energy of long standing and reversal of the physical problem requires a return to balanced and ordered energy. Qi Gong (Chi Kung) is a system which teaches an individual to live in a state of energy balance. Shen Qi is a sophisticated form of Qi Gong which relies on no external physical interventions but rather relies on mind control to prevent illness, heal existing physical and emotional problems, and promote health and happiness. This paper will describe the use of these techniques with people who have long-term physical disabilities. Disabil Rehabil. 1999 May-Jun;21(5-6):269-76. Trieschmann RB. Growing bodies of clinical experience and research suggest there are major benefits for patients, physicians, and CAM practitioners with the integration of energy medicine with conventional medical care. Conventional medical practice is excellent for infections, surgically correctable problems, hormonal dysfunctions, and some genetic defects. There are many illnesses for which conventional medicine can offer treatment, with medications and surgical interventions. Side effects of medications may be troublesome, and risks may include fatalities. Energy medicine interventions may complement conventional care and have minimal risks. Patients report high satisfaction with energy medicine interventions perhaps because CAM therapists often offer patients significant amounts of time to talk about their problems. Most energy medicine practitioners are not familiar with conventional medical diagnoses or research methodology. Conventional medical wisdom can inform and enhance energy medicine practice by encouraging further research. It is hoped that the future will bring more collaboration, greater acceptance of integrative care, and greater appreciation of energy medicine. Critical phenomena offer an attractive new theoretical resource for biophysics. Physical instabilities result in fluctuations, the quantum properties of which can be applied to regulatory control mechanisms in living organisms with promising results. Many aspects of energy medicine can be scientifically modeled, in agreement with previous theoretical ideas and speculation, such as the existence of macroscopic quantum coherence in living systems. Light is shed on areas of complementary and alternative medicine (CAM) such as Ayurveda, naturopathy, and the nature and action of potentized medicines in homeopathy and other aspects of vibrational medicine. This paper deals with the evolution of medicine from chemical medicine to energy medicine to information medicine as, first, standard electric, magnetic, and electromagnetic fields are applied to a patient and, second, as subtle energy fields are applied to the patient. Next, a brief reporting is given on our specific intention imprinting of a simple electrical device, which, when turned on in a given space, lifts the inner symmetry state of that space and tunes that space so that the specific intention, acting on the materials in that space, causes well-designed target experiments running in that space to yield results in full accord with the specific intention. A new theoretical model of nature is provided to explain these seemingly anomalous phenomena. A new perspective on what constitutes the whole person is also provided and one finds that human consciousness will become an important experimental variable in future medicine. Numerous treatment modalities for decompensated tinnitus incorporate psychological principles. Procedures of energy psychology and thought field therapy are introduced in two case studies. Data were collected from psychotherapy sessions and psychological tests. Two case studies demonstrated that thought field therapy reduces symptoms of depression and anxiety in decompensated tinnitus patients. The methods of thought field therapy can be taught to non-mental health professionals. Audiologists and psychotherapists should collaborate to develop more efficacious treatments. The term energy psychology refers to a number of related energy therapies that are based on the Chinese Meridian System of medicine. Energy psychology quickly and thoroughly relieves mental health problems by eliminating emotional traumas or blockages from the mind/body continuum by touching or tapping key points on the body. Some of the more popular forms of energy psychology are Neuro Emotional Technique™ or NET™, Thought Field Therapy or TFT, and Emotional Freedom Technique or EFT. The current status of energy medicine and its increasing challenge to the biochemical paradigm that has dominated conventional medicine are reviewed. Although energy medicine represents only a small fraction of 1% of the $2.2 trillion healthcare industry, 6 properties of energy medicine give it strengths that could augment conventional health care models. These include the ways energy medicine (1) can address biological processes at their energetic foundations (reach), (2) regulates biological processes with precision, speed, and flexibility (efficiency), (3) fosters health and prevents illness with interventions that can be readily, economically, and noninvasively applied (practicality), (4) includes methods that can be used on an at-home, self-help basis, fostering a stronger patient-practitioner partnership in the healing process (patient empowerment), (5) adopts non-linear concepts consistent with distant healing, the healing impact of prayer, and the role of intention in healing (quantum compatibility), and (6) strengthens the integration of body, mind, and spirit, leading not only to a focus on healing, but to achieving greater well-being, peace, and passion for life (holistic orientation). Altern Ther Health Med. 2008 Jan-Feb;14(1):44-54. Feinstein D, Eden D. Energy Medicine Institute, Ashland, Oregon, USA. OBJECTIVES: The purpose of this study was to evaluate an energy healing treatment for possible inclusion as a Kaiser Permanente Northwest (KPNW) Pain Clinic provided therapy, and to identify the appropriate number of treatment sessions for a Pain Clinic protocol, should the intervention prove successful. In addition, our intent was to document the full range of outcomes experienced by patients undergoing energy healing, including whole-person and transformative outcomes should they occur. SETTING: The setting for this study was Kaiser Permanente Northwest Pain Clinic. Participants: Thirteen (13) patients with chronic headache who were members of the KPNW Health Plan were recruited through flyers or mailings. METHODS: Thirteen (13) participants received at least three energy healing sessions at approximately weekly intervals. Assessments were based on pre- and post-treatment qualitative interviews. INTERVENTION: The treatment consisted of three Healing Touch sessions provided by a Certified Healing Touch Practitioner. Treatments contained elements common to all sessions, and elements that were tailored to the individual subject. RESULTS: Twelve (12) of 13 participants experienced improvement in frequency, intensity, or duration of pain after three treatments. In addition, 11 of 13 participants experienced profound shifts in their view of themselves, their lives, and their potential for healing and transformation. These changes lasted from 24 hours to more than 6 months at follow-up. CONCLUSIONS: Energy healing can be an important addition to pain management services. More in-depth qualitative research is needed to explore the diversity of outcomes facilitated by energy healing treatments. Furthermore, the development of new instrumentation is warranted to capture outcomes that reflect transformative change and changes at the level of the whole person. Energy medicine modalities, also known as biofield therapies, are perhaps the most mysterious and controversial complementary alternative medicine therapies. Although many of these approaches have existed for millennia, scientific investigation of these techniques is in its early stages; much remains to be learned about mechanisms of action and efficacy. These techniques are increasingly used in clinical and hospital settings and can be incorporated into an integrative primary care practice. This article describes several energy medicine and biofield therapies and outlines key elements they hold in common. Several specific approaches are described. Research findings related to the efficacy of energy medicine are summarized, and proposed mechanisms of action and safety issues are discussed. Guidelines are offered for primary care providers wishing to advise patients about energy medicine or to integrate it into their practices, and Internet and other resources for obtaining additional information are provided. Copyright 2010 Elsevier Inc. All rights reserved. When someone experiences trauma they go into immediate shock. This is very similar to hypnosis. Under hypnosis a person is more suggestible and tends to remember everything that occurred while in that state, even if it is on a subconscious level. Because of this a person, when abused, will remember vividly everything about what it was to feel like a victim and they will also remember everything about what it is like to be an abuser. CSI, CSI Miami, CSI New York, Numb3rs, Criminal Minds and others. Now, why do you suppose I've mentioned these TV shows? There are two reasons: Each commands a phenomenally large viewing audience (CSI is the #1 show on TV), and all of these shows are about science. To the surprise and delight of many people (probably including the producers of the shows) there are many people that want to know the science behind the scenes. They want to understand what's happening, and once they do, they will more readily accept a new innovation or technique. "It" now makes sense to them. Experiments have shown that the functions of analytical, logical, intellectual thinking and expression of language are carried out largely in the brain's left hemisphere. The right hemisphere performs intuitive, artistic, symbolic and analogical thinking functions. We are all familiar with the concept of ying and yang, consciousness and unconsciousness, ebb and flow. In yoga, the asanas we strive to perfect with our bodies speak to our deep desire to perfect and unite our mind, body and spirit. And yet, often in spite of years of dedicated practice, many of us find that our mind remains unruly, capricious and, at times, decidedly unfriendly to our stated goal of peacefulness and calm. Why is that? Watch as a tumor is dissolved using Chi Lel Chi Kung. This healing was in the film "101 Miracles of Natural Healing". Among poorly understood topics in medicine and behavioral studies is so-called psychological contamination, that is, the transmission of attitudes through mental influence or the imitation reflex. Although this process is well-known among psychiatrists, psychologists, and sociologists, many of these professionals do not consider its bioenergetic aspect. You may have observed how, if a person yawns, sneezes, laughs, or cries others in the room may follow suit. This effect is more powerful in large crowds, like a live sporting or entertainment event, where individuals may feel an unusual level of emotion and hundreds to thousands simultaneously laugh, cry, or feel connected to the same artist or athlete. Another example can be found in charged political events where a small fight can propagate into a chaotic situation resulting in vandalism and even lynching involving many people who are otherwise peaceful by themselves. When a client comes to me with problems, be they mental, or physical, I always tell them that I do not work on illnesses or symptoms as that is for the medical profession. I do not practice medicine. 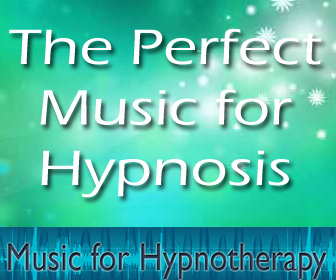 I am a Hypnotherapist and I work on the body's energy field using hypnosis. By correcting the body's energy flow, many of the symptoms, which the client may be experiencing, can disappear. Hypnotherapy, in addition to being a wondrous healing modality, has great utility in increasing performance in sports; job tasks, memory and artistic ability; and can improve relationships and other people dynamics. This occurs because: the person feels better, self confidence increases and stress is reduced, and: once negative forcing functions and programs are removed from the sub-conscious, it can then be positively re-programmed, changing the persons behavior and response to life. Also, because the sub-conscious cannot differentiate between reality and imagination, it is possible to repeatedly rehearse a desired performance in the imagination, thus creating a program of excellence in the sub-conscious resulting in improvement. Back in 1981 when I first started doing energy healing work, I didn't know much about the mind's effect on health. I did acupressure on blocked energy points and achieved some success in helping people feel better. However, the results didn't last. Then, in 1985, I added Hypnotherapy to my healing work and achieved greater success in alleviating people's problems. Nevertheless, my success still wasn't very good. I did everything I was taught to release the traumas in people's subconscious minds and still their problems persisted or the healing didn't last very long. Then, in 1990, I discovered the effects foreign energy attachment had on hypnotherapeutic healing and this discovery not only helped me personally, but since then, I have great success helping people. What are the monsters within us that keep us sick -- that keep reigniting the flames of misery when we think we have snuffed them out by wondrous therapies, only to have them reappear stronger than before? We do what the therapist says – we think we have cleared ourselves – we take the potions, guaranteed to heal us and maybe we feel better for a short while, only to have the malady recur and we feel bad again. What in us causes this to happen? I recently returned from an international conference on shamanism and alternative healing. This particular conference has been going long and strong for 25 years. As with most things these days, it made me think. I wondered why we, and I include myself in that "we," are so resistant to other ways of doing things. We get so ingrained in the one way; that everything else feels almost heathen. Anxiety is a condition that plagues millions of Americans. Yet it is something standard allopathic medicine has not always successfully addressed . It is often seen as an emotional problem, and is often treated with medication. As an energy medicine practitioner working within an integrative medical practice, I am often referred patients who have not responded satisfactorily to standard treatments for anxiety. In some cases, patients are reluctant to take meds, disliking the numbing side effects. In other cases, patients are looking for additional options to merely relying on meds for managing their stress. As the various 'new' Energy Therapies have developed we have seen a movement towards shorter more rapid versions of them. For instance, the original tapping method of BSFF developed into a faster non-tapping version of instant BSFF, and EFT developed into short form tapping and the standard tapping sequence was reduce by omitting the 9-Gamet part. Emotional Freedom Techniques - EFT - Learn in 5 minutes! John Freedom, of the ACEP research committee, just informed us of this YouTube video. There is a miraculous way of tapping the healing power by working with the meridian system. When I was introduced me to the "tapping techniques," I became aware that I was being given one of the great secrets of the universe. The technique involves tapping on various points on the body while using specific verbalizations to eliminate or reduce all kinds of pain and suffering. It's amazingly simple and easy to learn, and yet its results are phenomenal. As I became more and more involved with using the techniques with clients and with myself, I found variations that embellished their power. In our work, we normally combine these techniques with deep inner healing. They can, nevertheless, be used on their own or in combination with many other modalities. EFT, Emotional Freedom Techniques, involves tapping on various points on the body while using specific verbalizations to eliminate or reduce all kinds of pain and suffering. It's amazingly simple and easy to learn, and yet its results are phenomenal. The techniques can be combined with deep inner healing. They can also be used on their own or in combination with many other modalities. In 2002 Guy was referred to me by a chest consultant for stress management following severe chest pains, panic attacks, high blood pressure and tinnitus. We used EFT effectively with some of the underlying causes of his blood pressure and gained improvements in this and his stress levels. He was sleeping better at night but we still made little lasting headway with his tinnitus. This presentation is a visual journey spanning three decades of research into the invisible energy fields which are the matrix or blueprint of human beings and other living organisms. The journey begins back in the 1970's with Kirlian Photography experiments and amazing images, on to the development of Electro-Crystal Generator and the Electro-Scanning Method (ESM) to quantitatively scan the Energy Field in three dimensions. Then in the 1980's comes Polycontrast Interference Photography (PIP) which shows the invisible field, including chakras, acupuncture points and meridians, in high resolution color patterns in and around the body, giving three-dimensional information on the state of balance and health of the subject. More recently, the Oldfield Microscope, a significant improvement on the optical microscope, is able to show the invisible energy patterns in the microscopic world in the living state. Sometimes the investigation into subtle realms reveals the presence of invisible energy forms and entities which share our planes of existence and interact with us in different ways. 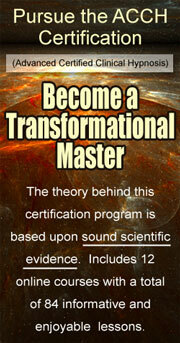 These cutting edge technologies are true 21st century tools in the study of subtle energies and energy medicine. Throughout history our understanding of energy has evolved in spurts characterized by dogmatic resistance and sudden revelations. Sir Isaac Newton's contributions to our understanding of light were significantly altered by James Clerk Maxwell (1831-1879), who recognized that electricity and magnetism are essentially the same. And, by the time that Albert Einstein, a 3rd grade patent clerk (who couldn't get a university job), wrote his famous essays, there was a clear recognition that any definition of energy must include light, magnetism, and electricity. So, if even one accepts the frizzy haired doctor's famous formulation that energy is equivalent to mass times the square of velocity, we are only just discovering how energy is used by the human body. Then add to this the role of the brain and thoughts in the regulation of energy. Energy healing: a complementary treatment for orthopaedic and other conditions.